We have been waiting & waiting for this New little wedge Iron from Clover and are SO happy its finally here! They had an earlier version years ago, that we LOVED and it was discontinued, and it was impossible to find a replacement that we liked as much. But finally they came out with this new version, that is lighter, easier to hold, has a pointier tip, and gets hotter on the high setting. We use this iron for our Machine Applique method, which requires a tiny pointy iron point, but I also love to keep it handy on a mini press board right next to my machine. 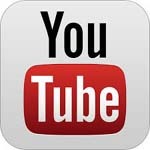 This is a new gadget that you will use & use! It is one of our favorite new tools!! Oh My! This fabric is amazing! 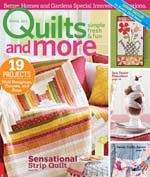 Its all of the Happy Colors, I love with a million different adorable items(there’s even a Dachshund!). 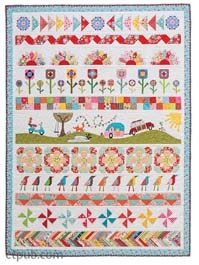 Of course, its from Alexander Henry, they are the best at these types of prints that tell a little story! 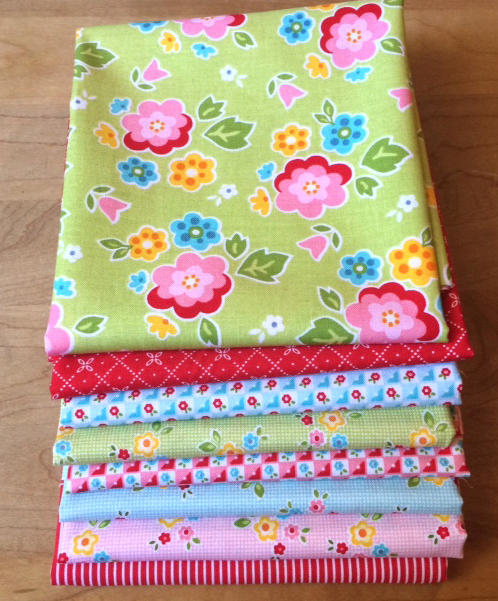 Its called Quite Delish, and is a little heavier weight Cotton Canvas, perfect for sewing, Home Decor , a Quilt backing, Bags, ECT. Click the link below if you have to get your hands on some! 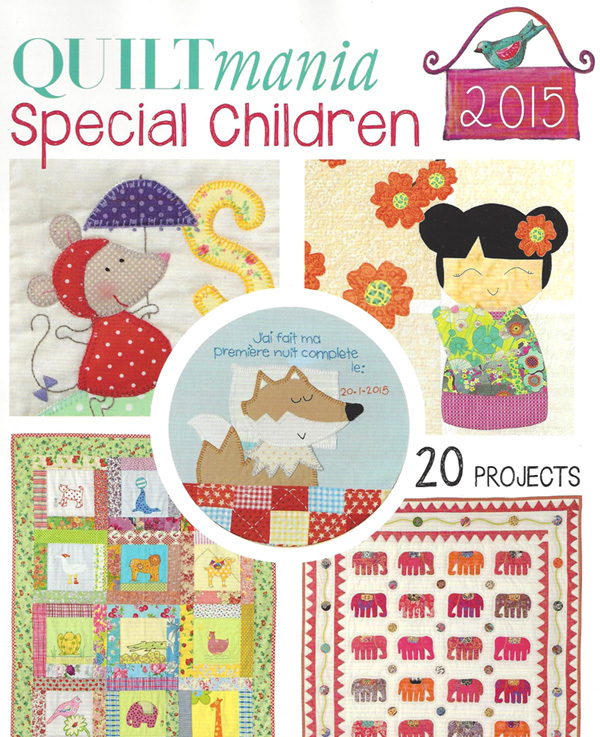 I am always excited to see the new Quiltmania Special Children Magazine when it comes out each year! 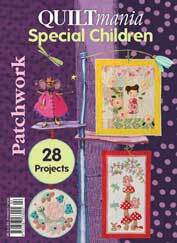 We especially love all things for kids and so its always a fave. This year is the 2nd year in a row that we have had one of our original designs featured in it, so its a little extra special! It has just started showing up in the U.S. stores, so look out for one, they always sell out quickly. 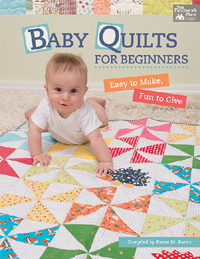 Our quilt Sleepytime is included alongside 19 other adorable projects. 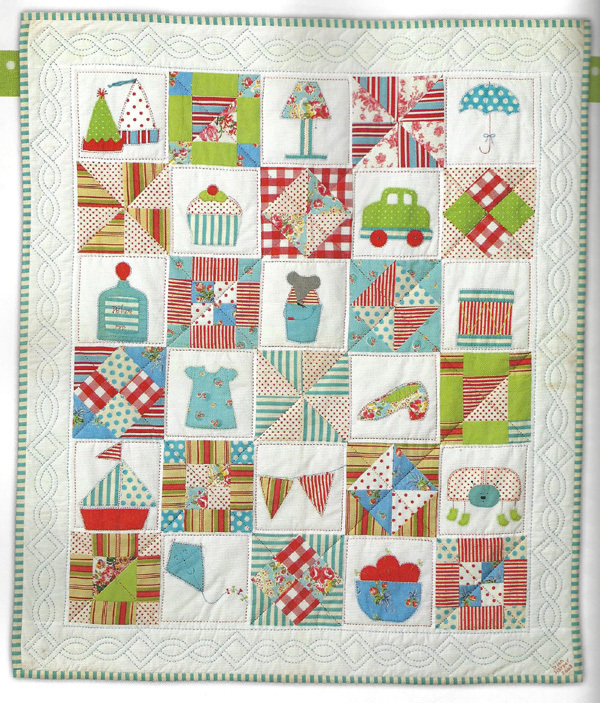 I like them all, but there is a quilt called “I Spy” by Trish Harper that is my very favorite, its pictured below. Isn’t it sweet? 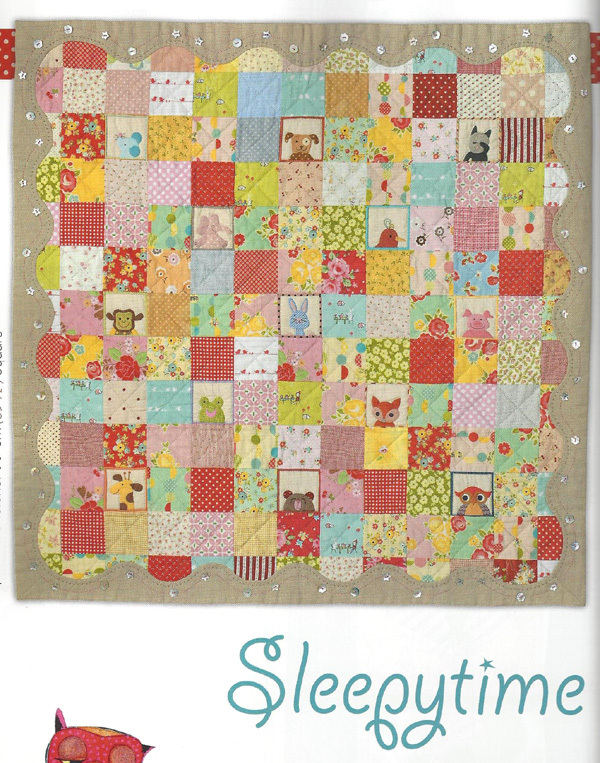 And below is our Sleepytime Quilt, my other favorite! 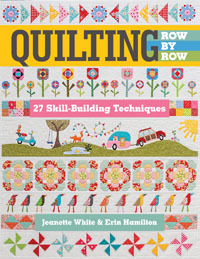 We still have some kits left, just click the link below if you would like to order one.